Entire contents copyright 2014 by Katherine Dalton, all rights reserved. 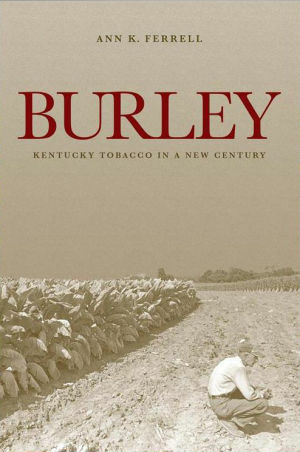 What a useful book Ann Ferrell has written—a book that is probably better, for once, for the fact that she approached the topic of burley tobacco farming as someone who knew very little about it. An assistant professor of anthropology at Western Kentucky University who is from out of state, Ferrell has been careful to learn as much as she could. Consequently, she gives a fresh perspective on the crop that was once “king” in Kentucky and that is still important to the economies of many of our rural counties, and to the farmers who still grow it. Ferrell learned by doing: she more or less apprenticed herself to a willing farmer who took her through the work of tobacco’s 13-month year, from seed to bales. Many Kentuckians have no idea of how tobacco is tended or of the complexity and attention to detail required to grow a good crop. Ferrell walks the reader through the process. 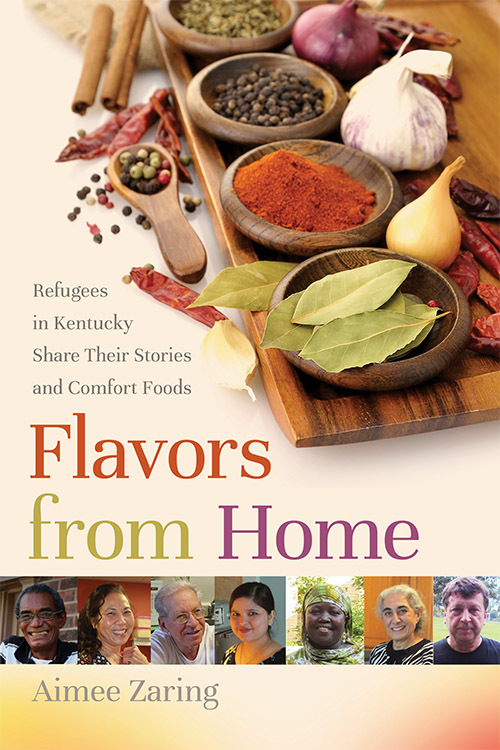 Her book also contains some useful history of growing tobacco in America and especially in Kentucky, and talks about changes in attitudes toward the crop from not just city people and the federal government but within Kentucky (and its own Department of Agriculture) itself. 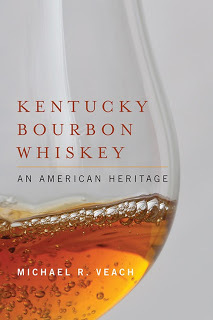 But the most useful discussion in this book is her analysis of exactly how resistant Kentucky farmers are to change—something they are often accused of. Her own view is that farmers have embraced effective change very quickly but hesitate to bet the farm, literally, on untried markets that have eaten up the patrimony of some of their neighbors. Hence, their much-bemoaned conservatism has a strong economic foundation. Finding alternate cash crops in Kentucky has not been easy and has required new ways of marketing, a learning curve for new crops, new equipment, and frustrations with contract growing. The truth is that tobacco as it was grown under the Burley Tobacco Program that ended in 2004 was the small farmer’s economic lifeline. It was a crop that had a guanteed bottom-dollar price and a guaranteed market for the limited amount each farmer was entitled by the program to grow. It paid farm mortgages and college tuitions all over the state, and it remains the prime reason Kentucky has long been full of numerous small farms rather than fewer, larger ones. In several sections of the state, tobacco supported many a family and the small town businesses that supplied their farm and personal needs. It did this witout being (unlike many other farm programs) a subsidy. The cigarette companies could buy any amount of tobacco they pleased at one cent or more above the pre-set floor price. The annually fluctuating set dollar amount for tobacco leaf was supported by having the Burley Co-op buy a year’s excess crop at that price. The tobacco was then stored until purchased (tobacco stores almost indefinitely). The money to buy the crop came from two sources: from money borrowed from the federal government, which was repaid with interest; and through fees assessed on the farmers who grew the crop and the cigarette companies that bought it. Contrary to a common misapprehension among it critics, tobacco was not paid for by outlays of tax money. Since the program’s demise in 2004, it has not been replaced by any comparably effective program for small farmers. Still, farmers have continued to grow it, as it has remained profitable, though much less predictably so, and though every year we lose more tobacco farmers. Nevertheless, as Ferrell also usefully points out, tobacco remains part of our agricultural present and not just part of our past. “Why Can’t They Just Grow Something Else?” is the title of her next-to-last chapter, and everyone who has ever criticized a tobacco grower should read that section to understand why burley has been so vital to small-town Kentucky, why the Burley Program was a small-farmer program much more than it was ever a commodity program, and why the change to new crops and markets has been so difficult. 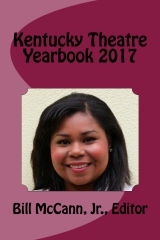 The book is the twelfth in the University Press of Kentucky’s Kentucky Remember oral history series and is a valuable addition to it. The general reader will find it full of interviews with farmers, county extension agents, and others who have had decades of experience growing tobacco and often several generations’ worth of family stories to tell. Just Who Was Old Doc Crow?